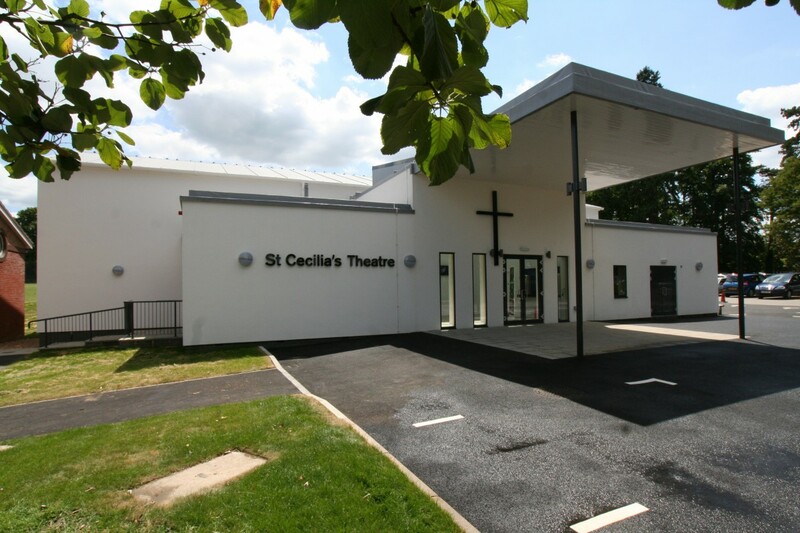 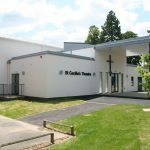 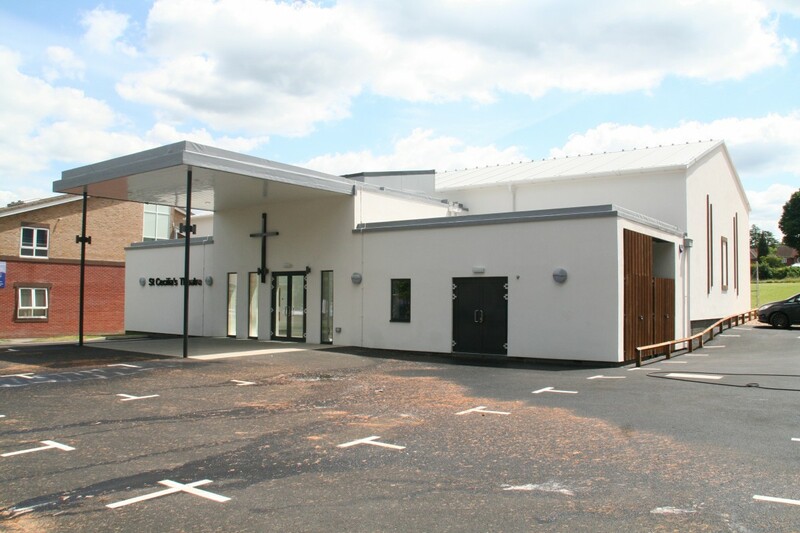 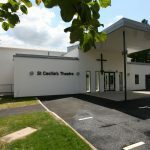 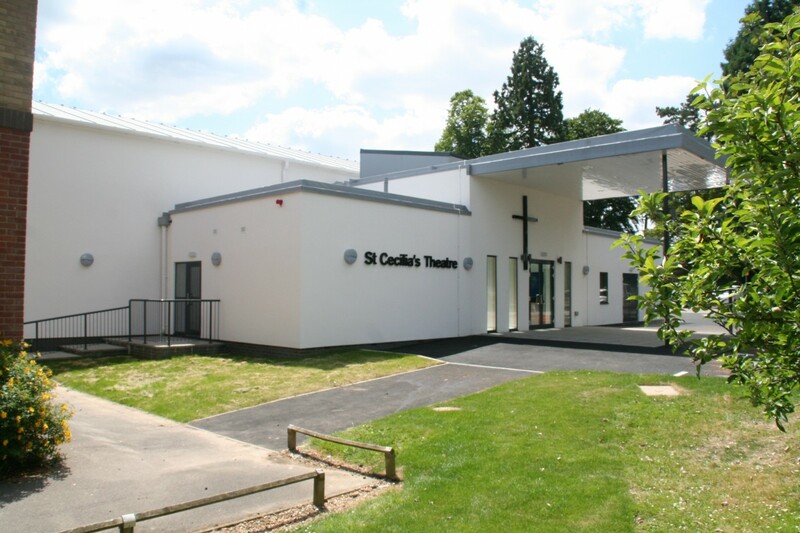 In 2012 Flowitt Architects were commissioned by St Peter’s Catholic School in Guildford to build a new state of the art theatre building for their growing school. 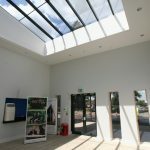 The requirement was a building that was welcoming, that had a real sense of arrival, a place that students valued, and a place where they felt they belonged. 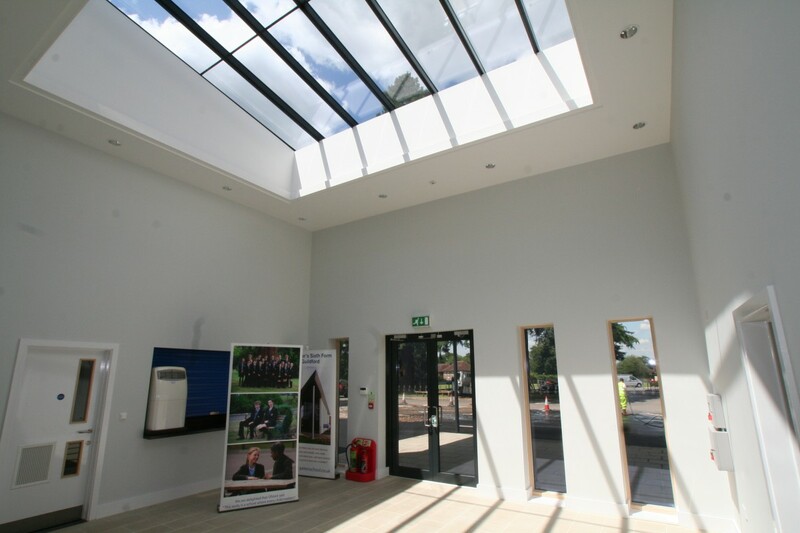 It had to be multi-functional allowing for large school productions and concerts, but also incorporating a teaching space that would be used daily. 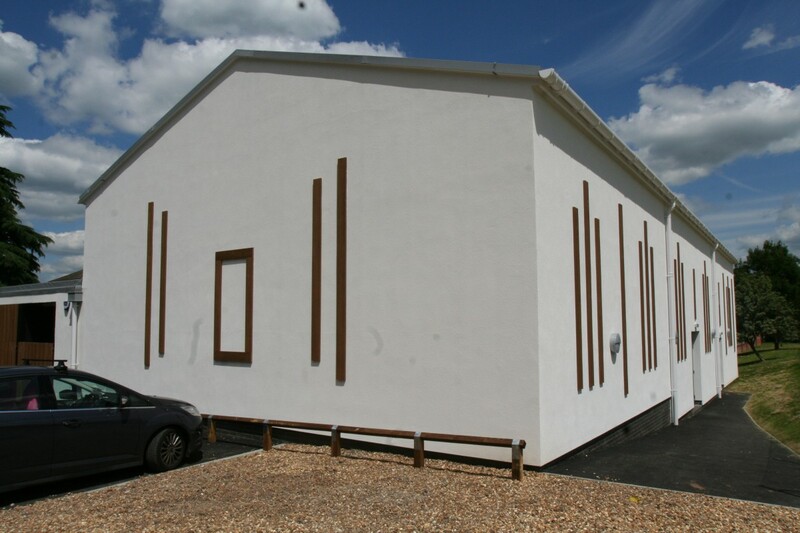 This new building needed to incorporate many new building technologies such as low thermal mass and energy consumption. 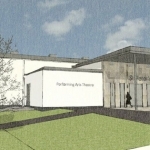 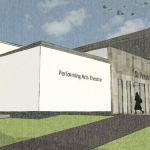 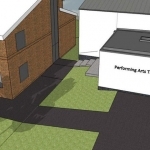 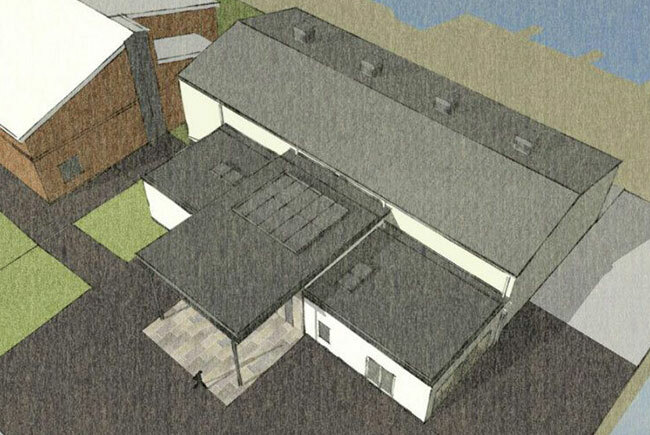 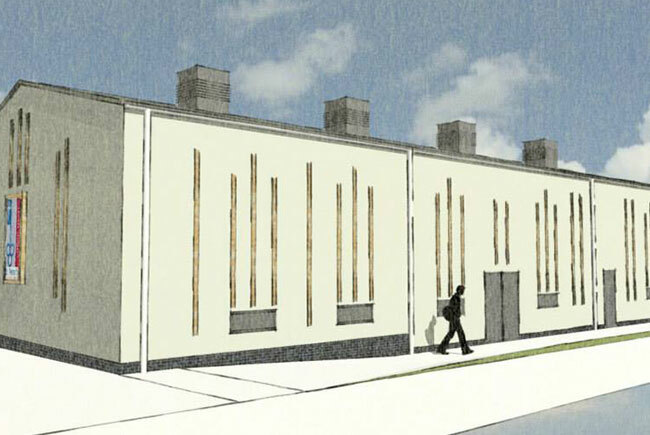 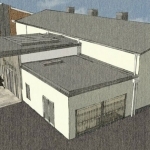 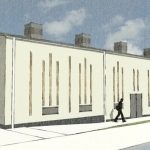 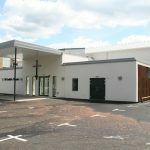 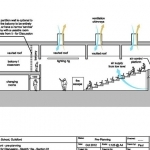 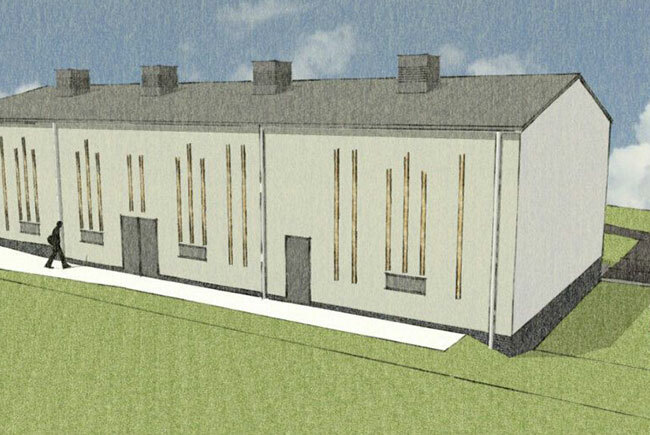 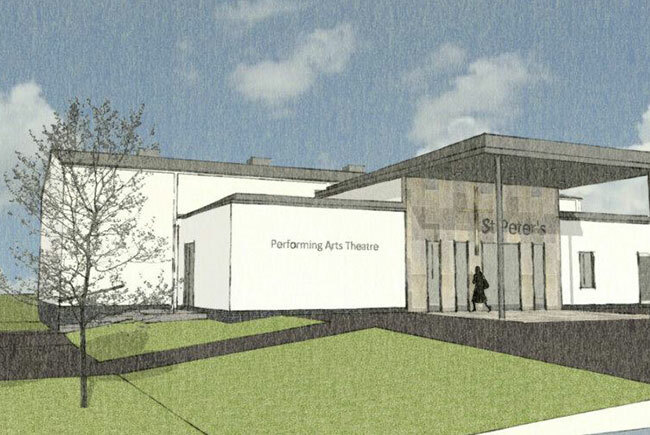 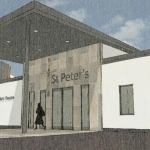 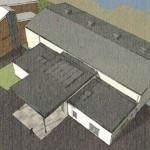 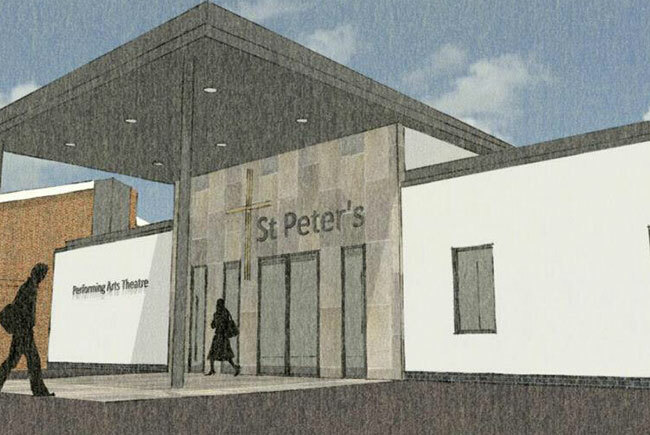 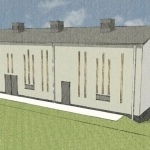 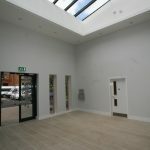 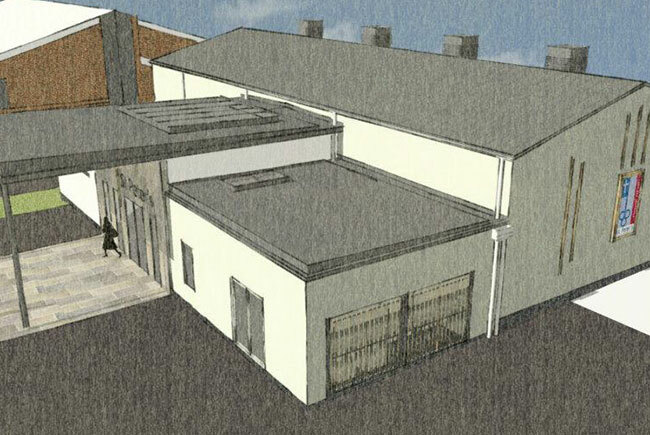 The building also needed to include a practical teaching space for the school’s Drama classes, this needed to be able to be split into two teaching spaces. 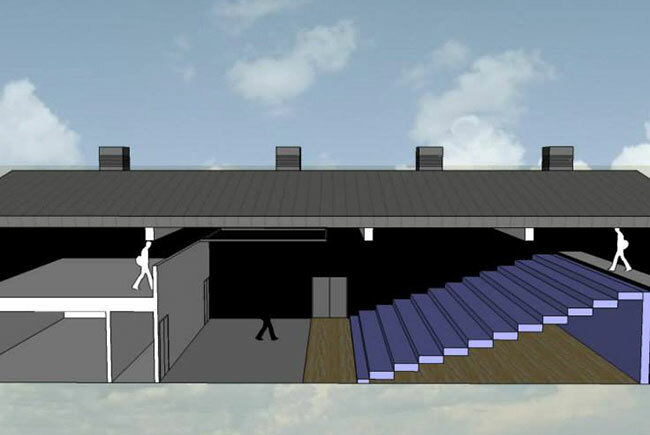 The stage area was to include a Cyclorama, with built in black flat angled stage wings, with a flat stage on the floor. 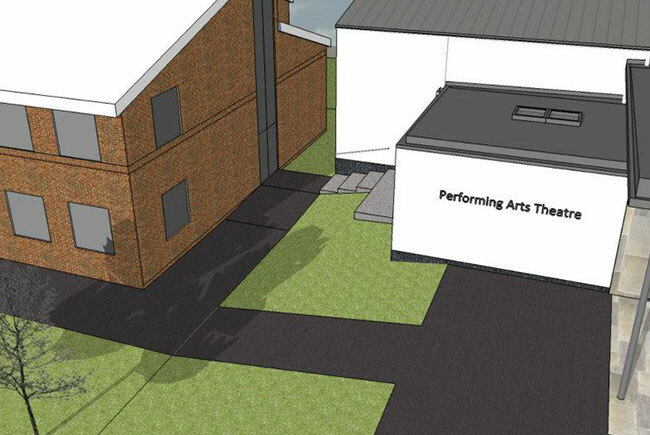 The stage needed to be able to accommodate not only performances but also assemblies on a daily basis. 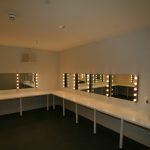 Male and female changing rooms were created, which had perimeter seating and wall mirrors with bulb lighting surrounding each mirror for a theatrical effect. 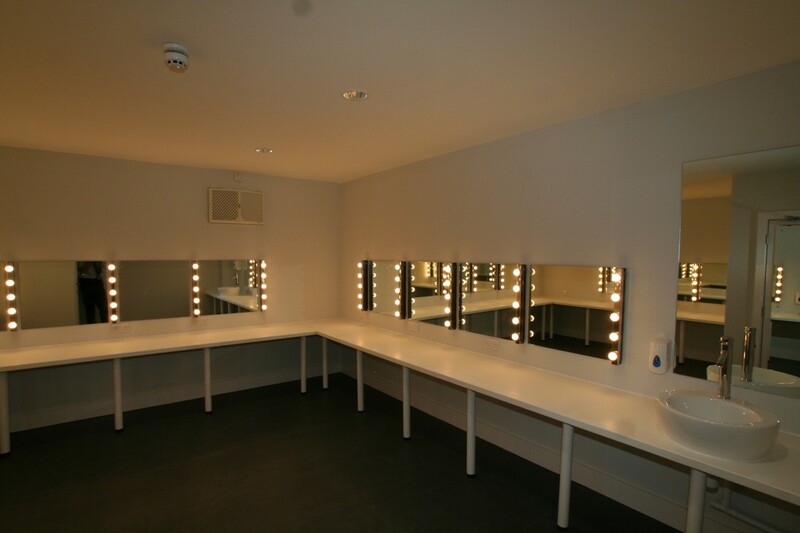 The changing rooms led on to a wide corridor which doubled as a green room for students to prepare for productions. 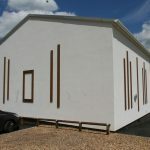 New toilets, and a disabled WC was also incorporated. 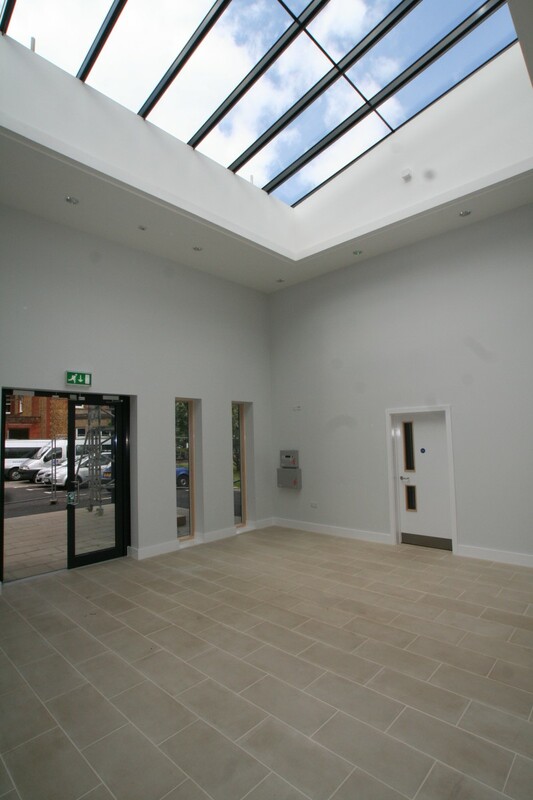 All these are accessed from a central open vaulted theatre foyer. 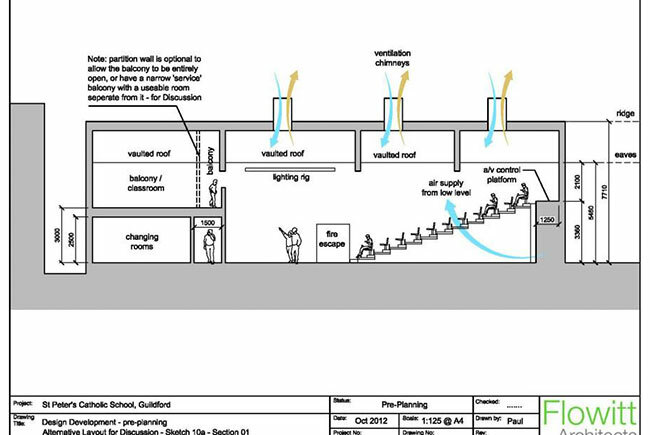 Including the above building design, Flowitt Architects were asked to include theatrical provisions for lighting and sound, and sound acoustics. 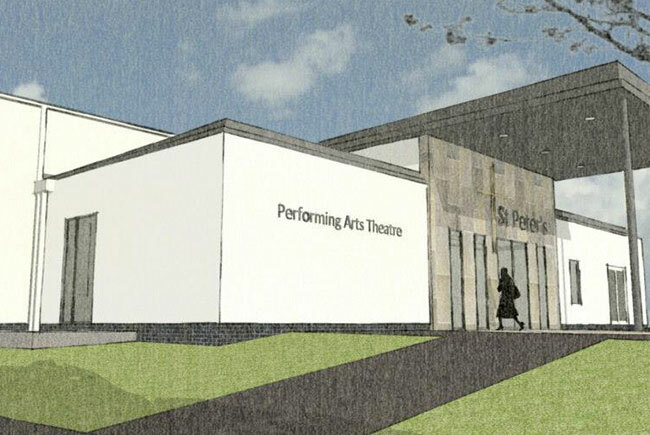 Mainly that of a sound and lighting desk with specific lighting hung off a new lighting rig. 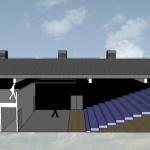 A large electronic retractable seating system was also installed.